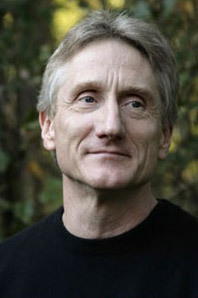 Bron Taylor is professor of religion and environmental ethics at the University of Florida, where in 2002 he was recruited to develop a graduate program in Religion and Nature, and was appointed as the Samuel S. Hill Ethics Professor. His research focuses on the affective and spiritual dimensions, and political impacts, of grassroots environmental movements around the world, as well as upon the complex relationships between human beings, their religions, and the environments they inhabit. He has led or participated in a number of international initiatives promoting the conservation of biological and cultural diversity. He also edited the award-winning Encyclopedia of Religion and Nature and subsequently founded the International Society for the Study of Religion, Nature, and Culture and its affiliated Journal for the Study of Religion, Nature and Culture, which he edits. This exhibition sheds light on the publications of the radical environmental movement Earth First! and its offshoots. American scholar and conservationist Bron Taylor discusses the political and ethical history of the movement while highlighting the unique collection of Earth First! movement writings hosted on the Environment & Society Portal.